It's June, and I get to say a line from one of my favorite musicals, Carousel. June is bustin' out all over is a perfect lead into the new books this month, which seem to be popping out in glorious plenty. Below is a list of books I'm most looking forward to this month. Below the list are the descriptions and some "reading room remarks" about six of the books. August 1962. A suspicious fire claims a tumbledown foaling barn on the grounds of the once-proud Tempesta Stud Farm, halfway between New Holland and Saratoga Springs, NY. The blaze, one of several in recent years at the abandoned farm, barely prompts a shrug from the local sheriff. That is until "girl reporter" Ellie Stone, first on the scene, uncovers a singed length of racing silk in the rubble of the barn. And it's wrapped around the neck of one of two charred bodies buried in the ashes. A bullet between the eyes of one of the victims confirms it's murder, and the police suspect gamblers. Ellie digs deeper. 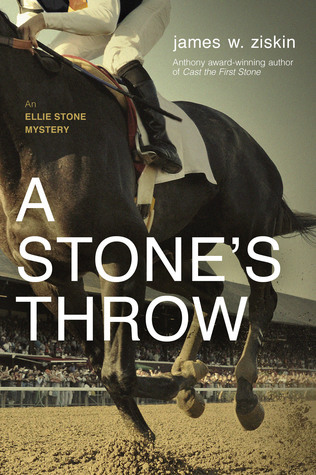 Reading Room Remarks: The Ellie Stone series has been a favorite of mine since book one, No Stone Unturned. Jim Ziskin gets the voice of the 60s and Ellie Stone right on target. A Stone's Throw is book #6 in a series that flawlessly mixes history, mystery, and crime together with the gifted writing of a master storyteller. I always seem to think of Jim and his books as a smooth jazz, and that's my happy place. 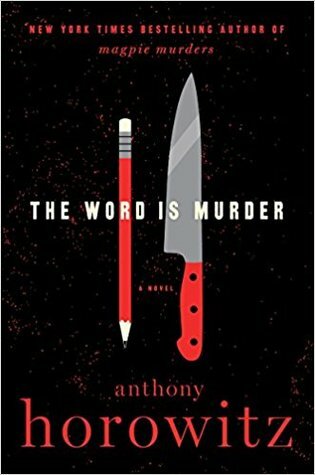 Reading Room Remarks: After reading Magpie Murders by Anthony Horowitz last year, I have been excitedly looking forward to this new book. It looks like The Word is Murder will be another outside-the-box delight. 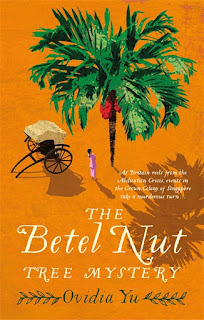 What we came to think of as the betel nut affair began in the middle of a tropical thunderstorm in December 1937 . . .
Singapore is agog with the news of King Edward VIII's abdication to marry American heiress Wallis Simson. Chen Su Lin, now Chief Inspector Le Froy's secretarial assistant in Singapore's newly formed detective unit, still dreams of becoming a journalist and hopes to cover the story when the Hon Victor Glossop announces he is marrying an American widow of his own, Mrs Nicole Covington, in the Colony. But things go horribly wrong when Victor Glossop is found dead, his body covered in bizarre symbols and soaked in betel nut juice. The beautiful, highly-strung Nicole claims it's her fault he's dead . 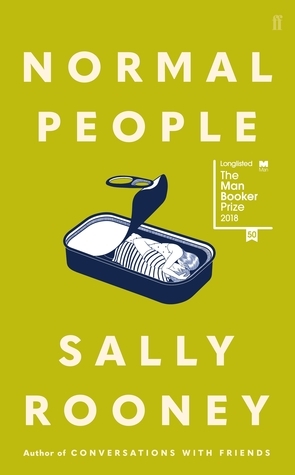 . . just like the others. And when investigations into her past reveal a dead lover, as well as a husband, the case against her appears to be stacking up. Begrudgingly on Le Froy's part, Su Lin agrees to chaperon Nicole at the Farquhar Hotel, intending to get the truth out of her somehow. But as she uncovers secrets and further deaths occur, Su Lin realises she may not be able to save Nicole's life - or even her own. Reading Room Remarks: Ovidia Yu brings Singapore alive for readers with this second series, featuring Su Lin, a young amateur sleuth and aspiring journalist. The first book in this series is The Frangipani Tree Mystery. I'm just getting to this series, but I know I will love it as much as I do Ovidia Yu's Aunty Lee Mysteries. Charm is a big part of this author's characters, but don't let that fool you into thinking that these female protagonists aren't strong as steel, too. June's release is for the e-book. Print format will be out in October. 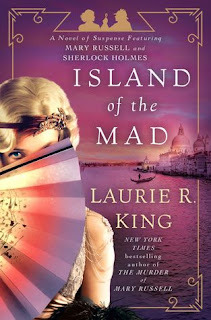 Reading Room Remarks: One of my most memorable reading experiences was the discovery of the Mary Russell/Sherlock Holmes series by Lauri R. King in reading The Beekeeper's Apprentice, first novel in the series. Catching up in the series at that time meant reading five books one after the other, a reading dream come true. Now, with the fifteenth full-length book, I'm as eager as ever to dive in and spend time with two of my favorite people, uh, I mean, characters. But fourteen years later, Angela Wong's remains are discovered in the woods near Geo's childhood home. And Kaiser―now a detective with Seattle PD―finally learns the truth: Angela was a victim of Calvin James. The same Calvin James who murdered at least three other women. 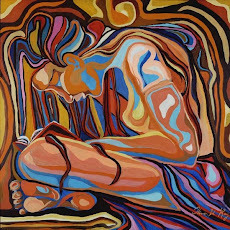 Reading Room Remarks: There are times in my reading life when I realize that I have missed out on reading an amazing author, and Jennifer Hillier falls into this area of regret. 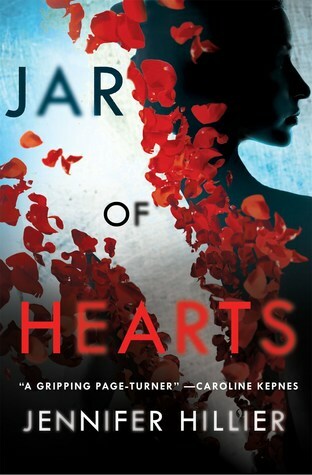 I do plan on addressing that misstep by reading Jar of Hearts, a book that is buzzing all over the place. Another book of hers that I am determined to go back and read is the thriller Wonderland. Of course, I realize that reading these two will create the need to catch up on all her books. 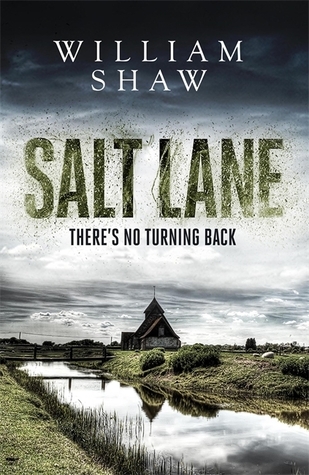 Reading Room Remarks: Last year I read The Birdwatcher by William Shaw and was fascinated by the harsh landscape of the isolated Kentish countryside. It is not a land for the weak, and Sergeant Alexandra Cupidi, who was introduced in The Birdwatcher, seems up to the challenge of living and working there in spite of her personal struggles. I'm looking forward to finding out how Shaw develops Cupidi as the main character and the mysteries that must be solved along the lonely Kentish coast. Thanks, Erica! I really appreciate your commenting.